There was a problem confirming the upgrade. 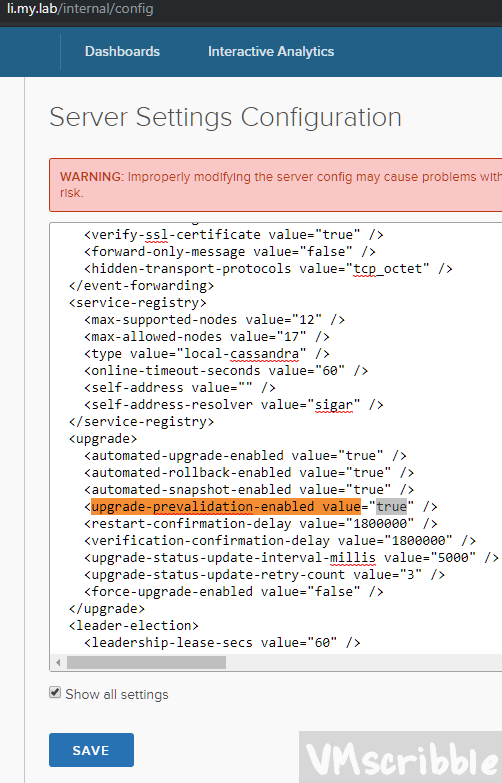 The Log Insight service cannot be reached. 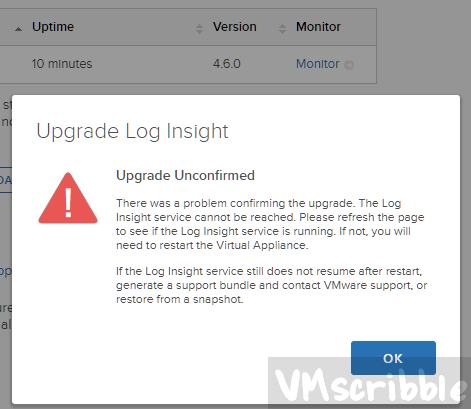 Please refresh the page to see if the Log Insight service is running. If not, you will need to restart the Virtual Appliance. 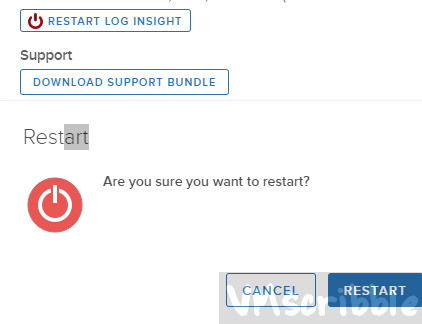 If the Log Insight service still does not resume after restart, generate a support bundle and contact VMware support, or restore from a snapshot. Replace true with false. Click save. Restart Log Insight via the /admin/cluster page. Try the upgrade again. Success!